With the final of LEGO MASTERS now screened for audiences across the UK to see, the winners have been revealed. 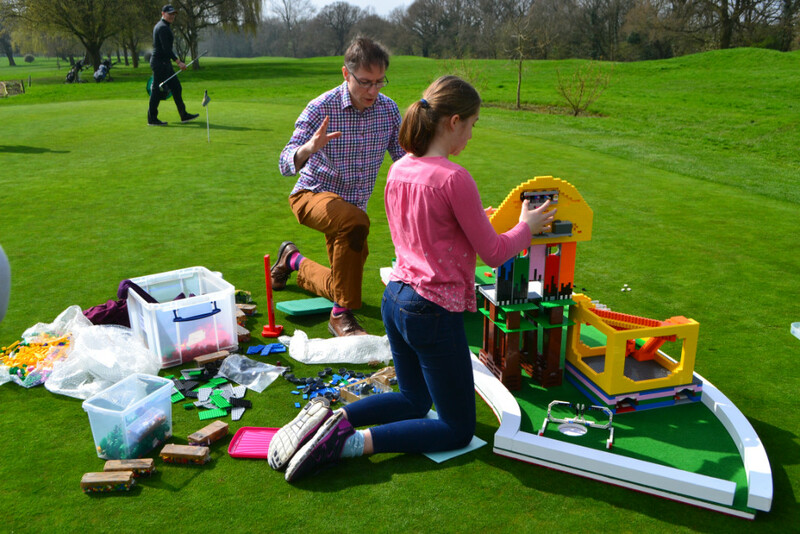 Coming in an impressive second place were LEGO loving daughter and father Izzy and Stuart, who have impressed week after week with creative, often moving, builds. Their final build focused on the idea that children can change the world, as they sought to inspire others. 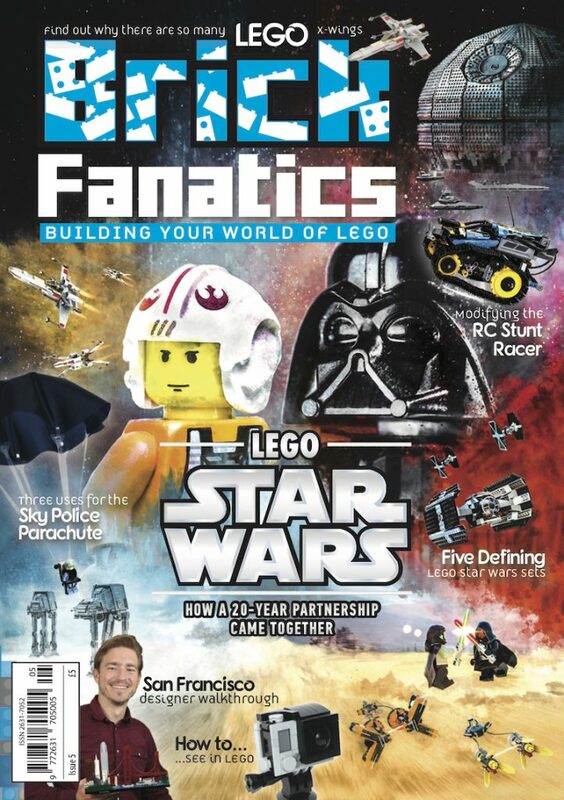 Now that the competition is over, Brick Fanatics speaks to Izzy and Stuart about their LEGO MASTERS journey. What was the most challenging aspect of the tasks? Izzy: Probably the time limit as we didn’t quite finish on a couple of builds! Also, we always came up with lots of good ideas for builds, but how to compose them into something amazing that was achievable in the time was a huge challenge. We had never done timed builds before. When building your arcade game, did it all go to plan? Were there any particularly tricky moments? Stuart: Goodness, this was the closest we came to disaster. We’d underestimated the weight of a Labyrinth game that huge, and so had to change our design half-way through because the pivots wouldn’t take the weight. This meant we were so short of time at the end, we didn’t get a chance to test it. When Johnny Vegas tried it out on camera, it was the first time it had been used. That it triumphed was down to building instinct and risk-taking. Which build challenge that you took part in was the most difficult? S: It was the robotic animal because we wanted it to be so full of character – cute enough to cuddle, but naughty enough to poo brown bricks out of its bottom on command. Surely no one had ever built a fully-working pooing pig before? Which build that you completed were you the most proud of? I: Without a doubt it was “Spyscraper”, our spy-related take on a skyscraper. Building houses is what I enjoy the most, so this was the opportunity of a lifetime. Stuart: I also found Spyscraper the best challenge, because we worked so hard to create the narrative of 001, MI6’s top female spy who trained up all the other women in a spy academy all in the apartment. Are there any funny moments that stick in your mind? Izzy: When the restaurant fell from the underside of our bridge as the dumper truck ran over it. The restaurant hit the deck, but stayed pretty much intact, so that they could carry on serving Melvin’s Mum’s rice and peas with mugs of tea without batting an eyelid. Were there any moments when you had to really think on your feet and solve a tricky problem? S: We were running out of time to finish Johnny Vegas’s head, but then realised that his cap would cover the scalp anyway. So, we made his head hollow beneath a removable cap, and put a minifigure-Johnny contemplating life inside his own head. We thus gave the bust added artistry, and saved ourselves about half an hour. 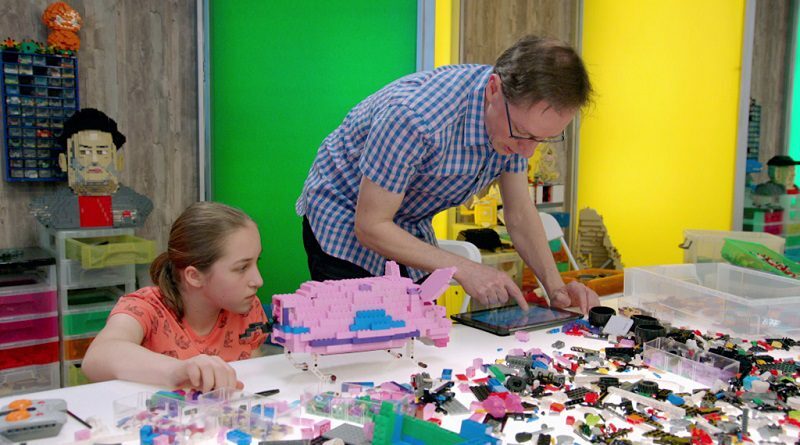 What was the best thing about being part of LEGO MASTERS? S: Reaching the grand final and managing to reach second place out of thousands of entrants. Okay, we didn’t win, but walking away with silver in the best competition on television felt great. More importantly, we were thrilled that we took on the big jeopardy of building something with a deeply emotional and artistic message. To hear that visitors to the Design Museum found it so moving meant our mission was accomplished. Did you learn anything new, about yourself or about LEGO creativity, through being a part of the show? I: How we could use LEGO bricks in order to change the world. We hope that our Master Build, “The Girl in Red/Change the World”, inspires others to use their creativity and passion for good. Next week is the LEGO MASTERS Christmas special, with some of the young contestants from the series partnering with celebrity helpers. The Christmas special will air next Tuesday at 8.00pm on Channel 4.